When you cast your line, a sense of serenity preludes the thrill of the catch. Reel in a really big one when you go deep sea fishing on the Outer Banks! Visitors will encounter a host of reliable fishing charters from Corolla all the way down to Nags Head and the Southern Shores. These experienced fishermen and women will gladly show you the ropes and share their favorite secret spots when you opt to ride out into the deep blue with them! 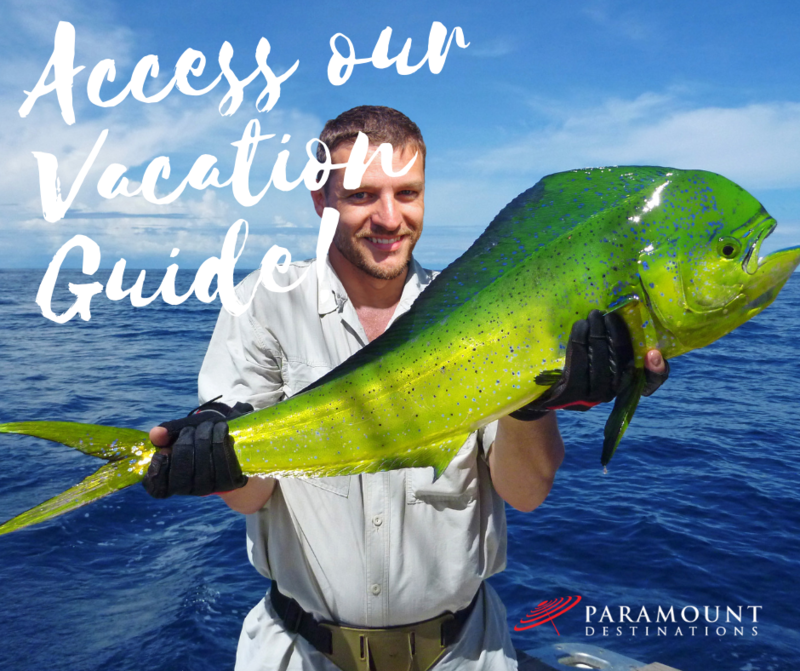 Continue reading for some of our favorite deep sea fishing charters and access our Vacation Guide for more outdoor adventures to include in your OBX itinerary! Deep Sea Fishing on the Outer Banks Is a Must! Every fishing destination promises its own unique adventure and fishing on the Outer Banks is no exception! 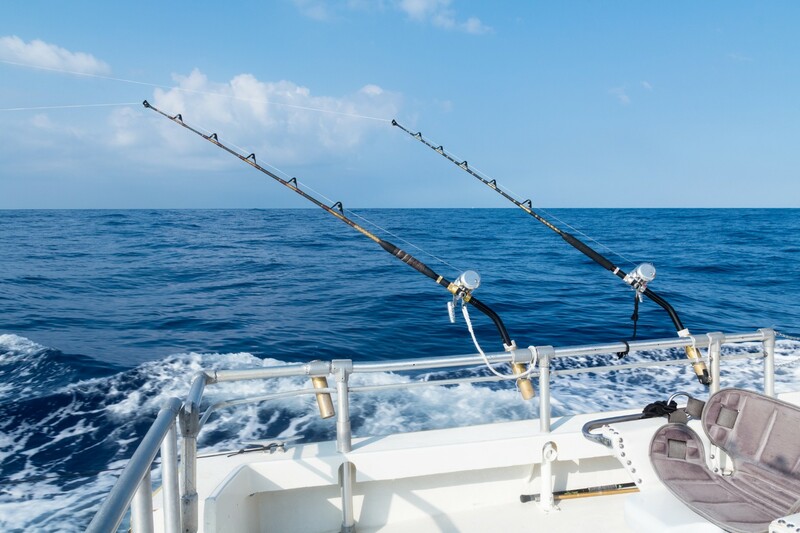 Whether you’re experienced in deep sea fishing or just now getting your feet wet, you can find the perfect fishing charter for your expedition on the Outer Banks. Pro tip: Head boats are great for children and beginners! They often have restrooms and snacks on board. They also offer more in-depth instruction, and all the fishing gear necessary for a successful voyage! If you have your own boat prepped for deep sea fishing, check out some of the local marinas where you can keep your boat! You might even find fishing charters offered at some of these marinas! The various bait and tackle shops on the Outer Banks carry everything you need for a day out on the water. Whether you consider yourself a novice angler or a seasoned pro, rest assured that these shops offer just the right rods and reels, bait, and advice. Maybe you just want to browse selections of fresh, frozen, or live bait. Perhaps you need to get a North Carolina fishing license if you’re an out-of-towner. There’s no doubt you’ll find whatever it is on your fishing trip’s shopping list at one of these shops! Stock up on all your favorite fishing gear to better your chances of leaving the Outer Banks with a new “fish tale” for the books! In addition to offering charters, Corolla Bait & Tackle also sells bait, tackle, and surf fishing lessons. They also offer rod and reel rentals, crab pot rentals, and various supplies. You might even want to ask one of the staff members for some free fishing advice! OBX Bait & Tackle is located in Corolla’s Monteray Plaza Shopping Center, which happens to be one of the best spots for shopping on the Outer Banks! Peruse a fully-stocked store for clothing, tackle, sporting goods accessories, and more. Rent your favorite brands of rods and reels at Sharky’s Bait, Tackle, & Charters! You can also find fresh, seasonal bait as well as the best artificial lures from Fishbites, Honeyhole, Got-cha, Slurp, and Sea Striker! Whether you need fishing gear and supplies or lessons and local tips, Bob’s Bait & Tackle, in Duck, is a great shop to visit! You can also check their website for daily fishing reports for pier, beach, sound, and offshore fishing! If you’re seeking some local pointers, Whalebone Tackle is a great resource! Not only do they stay stocked up on the best fishing gear, but they also offer loads of advice on where to fish, what’s in season, what the regulations are, and more! T.W.’s Bait & Tackle, Inc.
T.W.’s Bait & Tackle is an excellent resource for finding souvenirs, coolers, Yeti cups, and accessories! They also carry all your favorite brands of rods, reels, artificial bait that you like to have on you for a successful fishing trip! One of the most exciting things about deep sea fishing is the opportunity to reel in a big catch! Set sail for the Gulf Stream and you’ll encounter a variety of Outer Banks fish species. Depending on the season and migrations, schools of popular sport fish make their way through our waters. 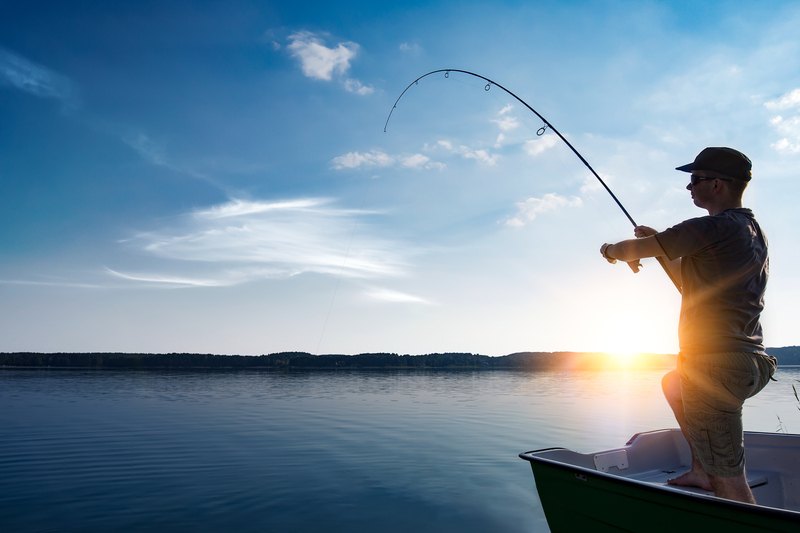 While you’re out fishing, you might catch tuna, billfish, marlin, mahi, snapper, and more! Pro tip: Bring Dramamine or anti-nausea medicine! The Gulf Stream waters can be quite rocky. As crowds begin to thin, the Outer Banks becomes a fisherman’s dream. Temperatures remain pretty warm throughout the fall, even in November. Also, hungry fish begin migrating South and along the Carolina coast. This means that massive schools of Mahi and other fish species abound offshore this time of year! As long as the weather permits, winter fishing off of North Carolina’s barrier islands can offer fisherman a fruitful catch! Just be sure to track local charters’ weather forecast reports before planning your day. Sometimes choppy waters and strong winds can make it too difficult for the boats to go out. If deep sea fishing and riding out on a charter boat is not really your thing, consider some of the following alternatives! There’s something to be said about simply walking from your vacation rental, pole in hand, to the ocean and casting your line! Any stretch of beach will do. All you really need are pole holders, weights, bait, and the perfect rod and reel combo. Kayak fishing has grown in popularity over the years. It requires a lot of balance, patience, and stamina but the thrill of the catch is worth it! Getting out a bit further from the shores allows fishermen to catch some of the larger species that are harder to come by while surf fishing. The beautiful beaches of this region draw people from all over, year after year. 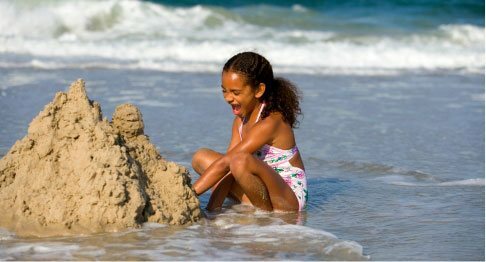 Embark on exciting excursions such as parasailing, kiteboarding, or deep sea fishing on the Outer Banks! 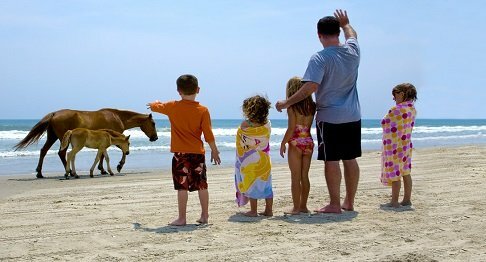 To make the most of your OBX getaway, stay in a Paramount Destinations vacation home. 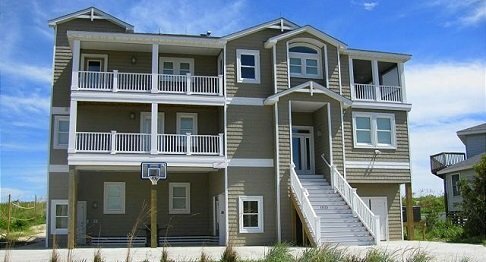 Maybe you’re searching for a beachfront property large enough to fit the whole family. Perhaps you’d rather stay in a quiet, cozy condo close to all the fun shops in town. Whatever your preferences may be, rest assured you’ll be resting your head in your dream vacation home when you stay with us!